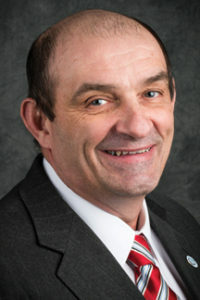 West Virginia state Sen. Randy Smith, R-Terra Alta, has resurrected his 2018 bill requiring insurers to effectively only use new OEM parts on late-model vehicles. Senate Bill 49, which is effectively identical to last year’s Senate Bill 308, removes the opportunity for insurers to use recycled or aftermarket parts on vehicles within the first three years of the car’s life. Currently, West Virginia’s Code prohibits shops using and insurers requiring aftermarket parts through the vehicle’s first three years unless a consumer provides written consent. The West Virginia Code as worded today still allowed the use of recycled parts, as the West Virginia Supreme Court of Appeals famously held in 2014. The courts declared that if the Legislature desired to exclude salvage parts, it would have said so in the law. Under the new bill, insurers still could demand recycled parts but no aftermarket components for the “current model year plus two years,” even if the customer were to consent in writing. SB 49 would remove the West Virginia Code’s requirement that all shops use “genuine crash parts” to preserve a warranty unless the customer consents in writing. It would instead only apply Code 46A-6B-3 to collision repairers fixing a vehicle whose bill would be at least partially reimbursed by an insurer. Under SB 49, repairers doing insurer-pay work “must use genuine new original equipment parts sufficient to maintain the manufacturer’s new vehicle warranty for fit, finish, structural integrity, corrosion resistance, dent resistance, and crash performance.” The notion of installing something else with customer written consent has been excised. The bill also would hold shops handling such insurer-pay work and insurers to slightly different time frames. The insurer can’t require any aftermarket parts for the current model year plus two years, a change in wording. Collision repairers working on insurer-pay cars still couldn’t use anything other than new parts on vehicles “in the year of their manufacture or in the two succeeding years thereafter” — the language previously applied to insurers as well. For the record, Experian reported that the average third-quarter 2018 lease length was 36.18 months, up 0.09 months. The average new car loan was 68.47 months, down 0.53 months, and the average used-car loan ran 64.36 months, up 0.41 months. The bill’s predecessor had four sponsors but still died in the Judiciary Committee. Currently, only Smith has sponsored SB 49. The bill currently is before the Judiciary Committee again. Be heard: West Virginia legislator contact information can be found here and here.